Designed to take advantage of the increasing demand for luxury townhomes and villas is Honeygo’s newest community: Strawbridge Commons at the Villas of Honeygo. A proposed 53 unit community, Strawbridge Commons will be bordered by an eight foot wide esplanade, providing pedestrian access from Honeygo Village all the way to Gough Park. 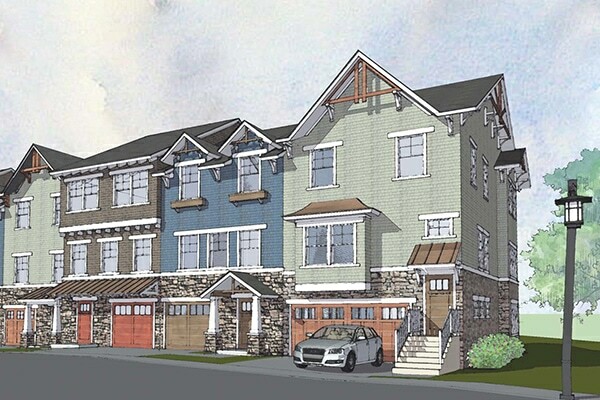 Named to honor Perry Hall’s storied history as the cradle of Methodism, the proposed Strawbridge Commons development embraces all of the Honeygo Plan objectives by offering higher density near the commercial town center, in keeping with the traditional town model; espousing exceptional design and quality; and providing neighborhood integration by connecting to other communities and open space. The community will consist of 53 newly constructed single-family attached dwellings styled in Arts and Crafts Architecture. 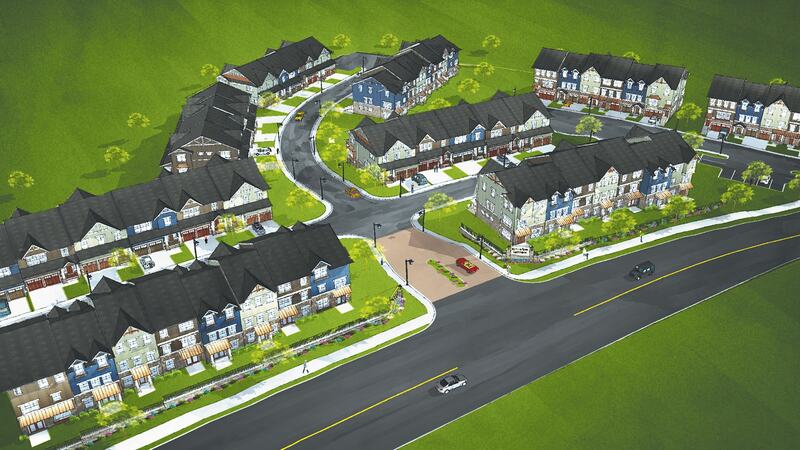 There will be 19 “Villas”, and 34 “Townhomes”. The 30’ by 60’ Villas are targeted at empty nesters with master bedroom on first floor and a front loaded two-car garage. 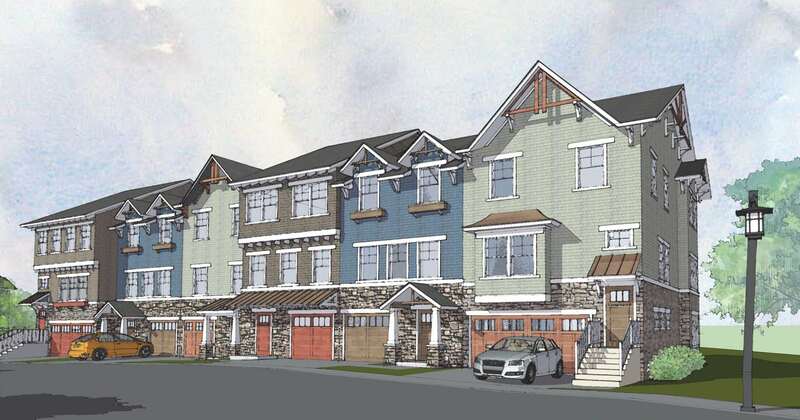 The 20’ by 44’ Townhomes will maintain a frontloaded one-car garage, and the 22’ wide homes will have a front loaded two-car garage. Curry Architects completed designs for the project and created a pattern book for PUD approval.